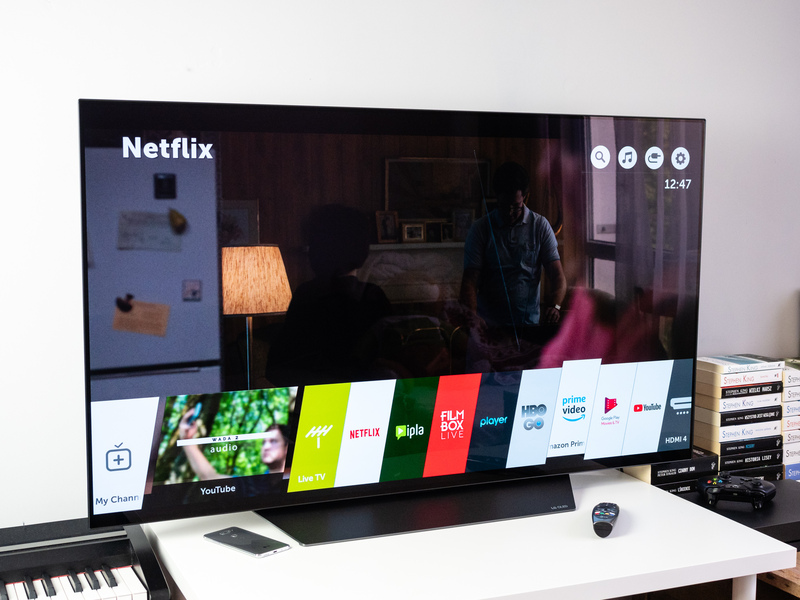 Subsequent TV manufacturers are switching to the OLED matrix, and the increasing competition between them has a positive effect on the prices of receivers. It's been a long time since you bought a high-end TV. When Sony presented the world's first experimental prototype of the OLED TV in 2007, the world reacted with skepticism. Small TVs cost a lot of money, and its matrix was highly unstable. It has no right to go . More than a decade later, we know that we have succeeded. Sony has not decided to develop its invention. This moment of inattention was used by the LG company, from which Sony, and many other manufacturers, are now buying dies. These have diameters much higher than the Sony XEL-1 mentioned here (from 55 to 77 inches) and LG declares that OLED matrices are enough for more than 10 years of normal use of the TV before anything goes wrong with them. In addition, their prices have never been so low. LG invested a lot of money in researching OLED matrixes, because it was right to see that LCD would never offer similar image quality. Pixels in LCD matrices do not shine with their own light. They should be illuminated using an additional device, only thanks to this additional light we can see them on the screen. This unfortunately means using some compromises. To maintain perfect contrast and reproduction of colors, each pixel would have to be accompanied by a proper lighting lamp. So a 4K TV would have to have built-in almost 8.3 million lamps in the matrix. This is not possible. Or it would be too expensive to make sense. Meanwhile, in each OLED matrix, each pixel shines with its own light. Illuminating elements are absolutely unnecessary in them. Any pixel can take any color, which will not be distorted by a brightening lamp. How great is the advantage over LCD technology illustrates the problem of black color. How do you display this color when there is an object in the frame next to it? Illumination of this object also causes and illuminates dimmed pixels, so they are not black and dark gray. Well, let's not forget that the lack of lamps in the matrix means the possibility of producing a thinner TV set. To be fair, leading LCD matrix innovators continue to make very impressive efforts to achieve the contrast and color that OLED matrices achieve without effort. The problem is that even if we consider a group of the best LCD TVs to be able to compete with OLEDs in terms of image quality (they are usually brighter than them, they can also display a static image for a long time without any further maintenance), we will pass realize that OLED TV is ... cheaper. OLED TVs have never been so cheap. And so common. OLED matrices from LG Display are used by many TV manufacturers, but let's focus on the product offer of this Korean manufacturer for a moment. 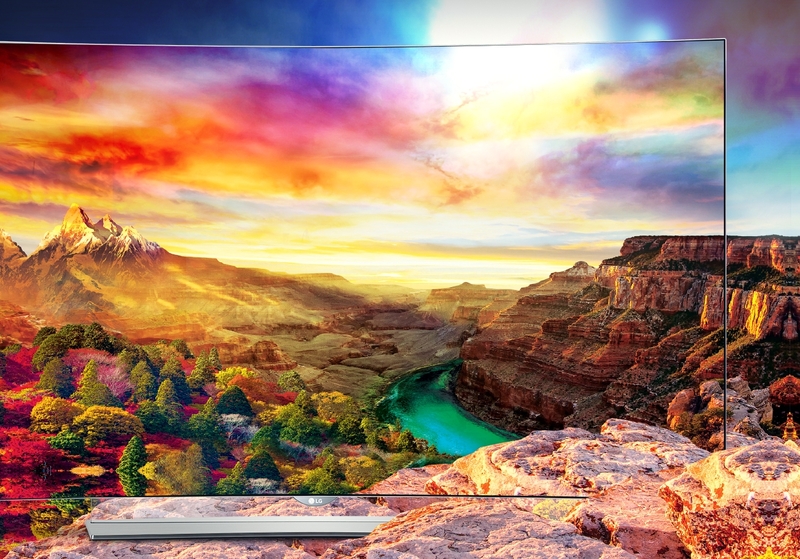 At the moment, the TV offering the highest image quality is LG OLED C8. The manufacturer has in its offer and more expensive equipment, but they differ from the C-line representative with additional equipment, which has nothing to do with the image. The 55-inch version of this TV, depending on the store and the currently valid promotion, costs between PLN 5,370 and PLN 6,200. A very small (almost symbolically) lower version of the B8 with the same diagonal amounts to PLN 4,800, and at the time of publishing this text for publication, one of the leading retail chains has it in its offer at a promotional price of PLN 4,250. Leading LCD models of a similar class often have an expense of over 10,000. zł. These are still not small amounts, but it is worth remembering that a few years ago you could buy a good car in the living room for OLED TV. And that we are talking about one of the best - if not the best - TV on the market. OLED is not just LG TVs. Competition also recognized organic matrices as the best. The advantage of OLED over LCD for these manufacturers is so big that they agree to pay their competitor only to have an organic TV in their offer. The prices of these televisions, like those from LG, are also decreasing. In March, Hisense - one of the leaders of the Asian market - presented its first OLED TV, the Q8 model. Last year, the owner of Philips and Konka ceased to use the QLED matrix (LCD matrix with a layer of nanocrystals, the most advanced step in their evolution) for OLED. Only four manufacturers in the world use QLED matrices: Samsung, TCL, Hisense and Vizio, the first of which introduced 97 per cent of the market. all televisions of this kind. LG Display customers include, among others, Sony, Panasonic, Funai, Changhong and Bang & Olufsen. In total, 15 manufacturers considered OLED technology the best for their flagship products. LG itself sold more than 1.5 million OLED TV sets last year, which is 33 percent. more than in the previous year. The previous quarter closed the company with the result of 365 thousand. copies sold and OLED TV sets from all producers accounted for over 20 percent. all televisions sold. Excellent image and TV for many years for 5 thousand. zł. And maybe less. The first, ninth generation OLED TV sets will be available soon. This means that soon the stores will begin to dispose of currently offered devices. If these stores will use a similar pricing policy in relation to previous years, we can expect discounts of up to PLN 1,000. That would mean that the 55-inch LG OLED B8 will be available for purchase for 4,000. zł. Let me repeat again: four thousand zlotys for a TV that provides perfect contrast, real black, great color reproduction. About quality by my and most of the recognized experts currently unbeatable ... unless we talk about C8, which is very slightly, even symbolically better. Which will provide the best possible visual experience when watching movies on Blu-ray, Netflik series or games with a gaming console. Buying an OLED TV is a safe investment. The consumer electronics market is developing at a rapid pace, the same applies to televisions. Let's not have any doubts: the best TV from absolutely any manufacturer for 10 years will be outdated by the same producers. For just a few years, when the first content in 8K resolution will be available. Only that stubbornly taken here for the model example of LG OLED B8 is ready for the future. Like more expensive models and most OLED TV sets from other manufacturers. These televisions are equipped with a modern Smart TV system. They support all relevant image transmission standards, including HDR10, Dolby Vision and HFR. They provide a slightly higher color space than the standard DCI-P3 described and used by Hollywood. All this in combination with the precision of the backlight for a single pixel make the image definable as a definitive product offered in the financial reach of most of us. And we will think about replacing it with a more recent model in about a decade. Authentically, I am very happy about this. I am a huge enthusiast of high quality image. I believe that low-quality displays spoil very important elements of a movie, TV series or video game, which is the work of cameramen, colorists and other engineers working on the artistic visual layer of the work we consume. I understand, however, that not everyone has the desire and the opportunity to put large amounts of money on the right TV. That's why I am very happy that the cheap and mainstream OLED TVs will allow more people to appreciate the efforts of these specialists. OLED is slowly becoming the one for LCD matrixes, what these were for CRT TVs. At first, a whim for wealthy hobbyists, and with time, under the same roofs, to supplant the older and in almost every respect a worse solution. Welcome to the OLED TV age. Make yourself comfortable, it's a very pleasant place.